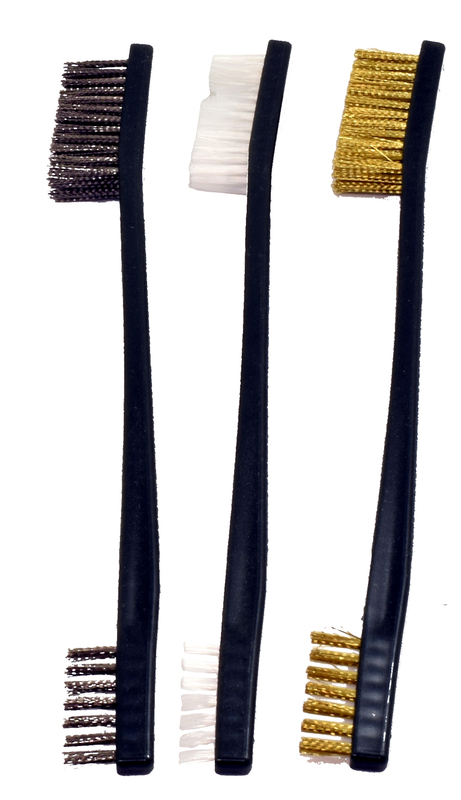 The DAA 3-piece Utility Brush Set includes three double-ended brushes including one Steel Brush, one Copper brush and one Nylon brush. Each brush’s handle is made of sturdy, strong, yet flexible plastic material, and measures approx. 18cm long. The larger end , has a brush measuring approx. 10mm wide by 35mm long, and the smaller end has a brush measuring 3x20mm. 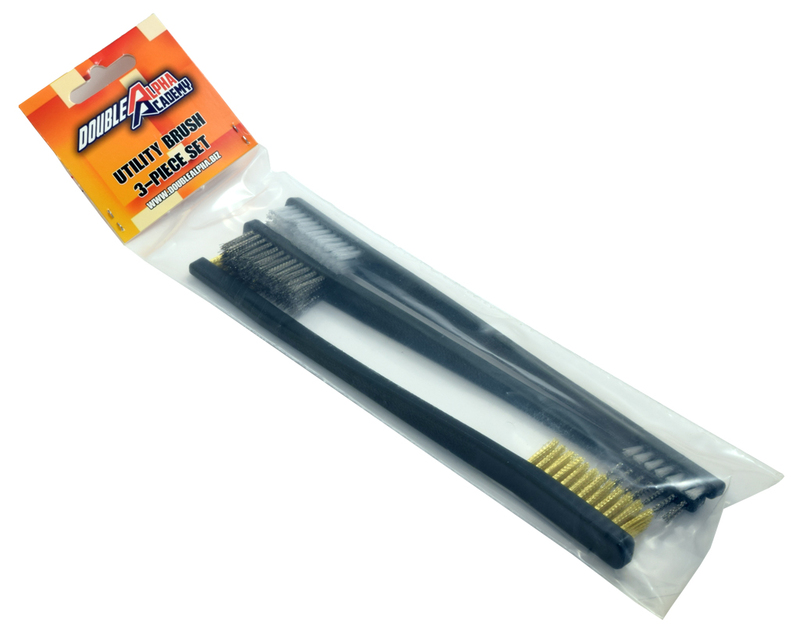 These brushes are absolutely essential items in any gun cleaning kit. Packed in a plastic sleeve, with a cardboard header, suitable for display hanging.